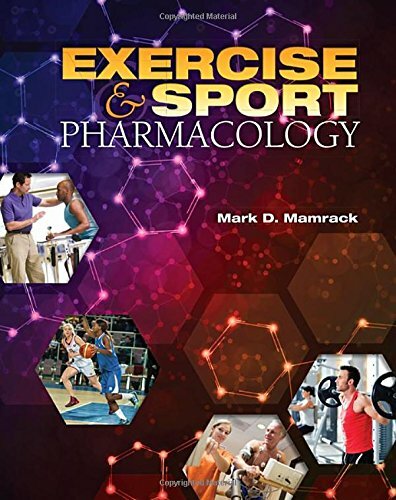 Exercise and Sport Pharmacology is an accessible book that will be useful for teaching upper-level undergraduates or entry-level graduate students about how drugs can affect exercise and as well as how exercise can affect the action of drugs. It leads students through the science-including the related pathology, exercise physiology, and drug action-to gain an understanding of these interactions. The book is divided into four parts. Part I provides the basics of exercise pharmacology, exercise physiology, and autonomic pharmacology; Part II presents chapters on the major cardiovascular and respiratory drug classes; Part III describes the frequently prescribed medications for such common conditions as diabetes, depression, pain, fever, inflammation, and obesity; and Part IV includes discussions of supplements and commonly used drugs such as caffeine, nicotine, cannabis, and performance-enhancing drugs. In Parts II through IV, the chapters include an overview of the pathology the drugs are designed to treat, how the drug works in the human body, the effect of exercise on how the body responds to a drug, and how exercise changes the fate of the drug in the body. Chapters also include information on the drug's possible health risks and whether taking the drug comes under scrutiny of sport-regulating agencies. Throughout, figures and tables help to illustrate and summarize content. Most chapters open with an on-going case example to apply and preview chapter content. In the text, boldface terms indicate for students which concepts can be found in the book's Glossary, for easy reference. Chapters conclude with a Key Concepts Review and Review Questions. Mark D. Mamrack is a faculty member at Wright State University in the Department of Biological Sciences. He currently serves as Associate Dean of the College of Science & Mathematics. He received his undergraduate degree from Purdue University and his doctorate from Baylor College of Medicine. He studied protein phosphorylation and its role in cancer during post-doctoral work at Oak Ridge National Lab (Oak Ridge, Tennessee). While at Oak Ridge, he was recruited by the University of Tennessee Graduate School of Biomedical Sciences at Oak Ridge to teach cell biology to first-year Ph.D. students. It was that experience that resulted in his taking a faculty position at Wright State University where he continued his research into cell signaling and growth control. He has taught exercise and sport pharmacology since 2002. His experience in teaching the class led to the creation of this text.